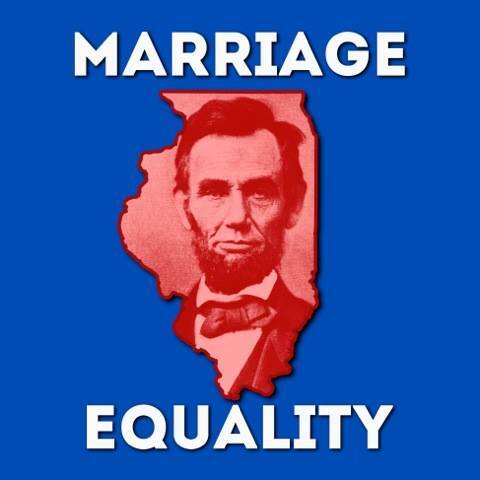 Have you seen Abraham Lincoln/Illinois Outline/Marriage Equality pictures on Facebook recently? That’s because the Illinois General Assembly holds its first “veto session” next week: Tuesday, Wednesday, & Thursday (Oct. 22-24). 1) To pass in its current form, the bill needs 71 votes in the House. That is a high hurdle, because we could not even get 60 votes last May. However, the bill can be amended to change the start date (for next June) at which point it would only need 60 votes. We are VERY close to having those 60 votes. Rep. Kate Cloonen is about to cast a vote on behalf of Kankakee County against equal rights. 2) A few representatives are still undecided. The single most important thing you can do right now is send a personalized email/message/call to your representative. GO HERE to send a message or LOOK AT THIS POST for contact information. *A special note for those in Kankakee, Bradley, and Bourbonnais. Democrat Kate Cloonen met with the local equal rights organization this Wednesday at Family House Restaurant (my favorite breakfast spot on the planet, so I took this personal). 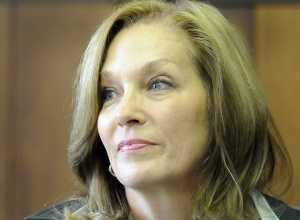 At the meeting she said that she does not believe gay people in Illinois should be able to marry. Please take a moment now to kindly ask her to re-consider. Voting to keep people unequal (in the Land of Lincoln, of all places) should be embarrassing. Claim A: I do not support this, because I believe it attacks religious liberty. Christians should not be sued because they do not want to participate in these ceremonies. –Religious liberty is important. That is why the bill does not force any church to perform services against their wishes. Also, the bill makes ZERO changes to discrimination laws in the state. A completely separate law governs non-discrimination rules in Illinois. In other words, passing this bill will not in any way impact the rights or obligations of any religious person or entity. Claim B: I do not support this, because I believe all children deserve a mother and a father. –Great. But permitting a loving couple to get married in no way impacts the parentage of children. Please do not use children as an excuse to perpetuate inequality. Claim C: I do not support this, because gay couples already have civil unions; they just care about the word marriage. –Actually, gay couples in Illinois who have a civil union DO NOT receive federal marriage benefits (i.e. Social Security rights, estate tax breaks, +1,000 others). That is because the federal government does not recognize civil unions, but they do recognize marriage.